Series compensation of the transmission line increases the power flow capability of the system. Hybrid series compensation is a combination of active and passive series compensation provided by static synchronous series compensator with energy storage (SSSC-ES) and capacitor, respectively. This paper investigates the presence of bifurcations of subsynchronous resonance (SSR) in such a system. The results show that, as the series compensation level is varied, the system without SSSC-ES experiences periodic and quasiperiodic oscillations eventually leading to the catastrophic bifurcation. With the inclusion of SSSC-ES into the system, the number of periodic bifurcations of SSR reduces. 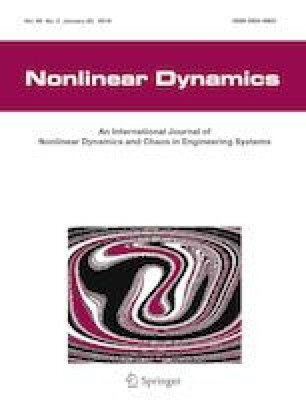 This paper proposes a novel composite subsynchronous modal voltage injection (CSMVI) technique using SSSC-ES which controls catastrophic bifurcations of SSR. The CSMVI employs modal speed deviations that are derived from multi-mass section speed deviations and is used to modulate the reactive voltage injection of SSSC-ES. The study system for the analysis of SSR is IEEE First Benchmark model. Validation of the results obtained from bifurcation theory is carried out by performing the transient simulation using MATLAB/SIMULINK.